While the public persona of Cristiano Ronaldo doesn’t always make him seem like the nicest or most humble of people, but someone like Alex Ferguson seems to always bring him back to the ground. Some men are even bigger than the biggest ego in football. Ronaldo seemed surprised to see Ferguson as he walked up to pick up the winner’s medal after scoring two goals in Real Madrid’s 2-0 win over Sevilla in the European Super Cup.He later dedicated the title to Ferguson, the manager who signed him from Sporing CP in 2003, winning three championships and one Champions League trophy together during his six seasons playing under him. Ferguson is that kind of character. He has never said bad things about Ronaldo since the Portuguese star left in 2009, even though he wasn’t happy with Real Madrid tampering with his happiness. 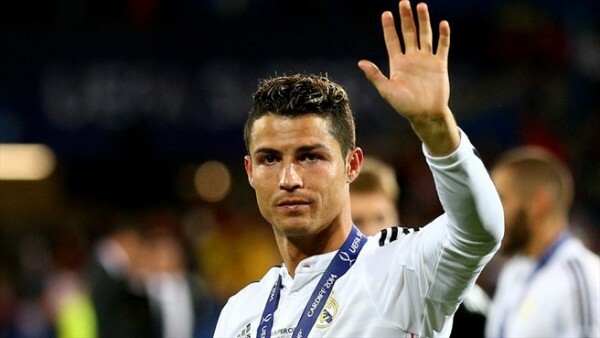 Jose Mourinho, who sees himself as the biggest and greatest thing walking on earth, didn’t seem to mesh that will with Ronaldo when it was time for them to part ways. Maybe it had something to do with the period of Ronaldo’s career. When Ferguson took Ronaldo under his wing, he was a teenager, who still didn’t play or look like the best or second best (depends on who you ask) footballer in the world. Mourinho met a different version of Ronaldo at the Santiago Bernabeu. Mabye he spoke some truth in saying Ronaldo doesn’t want to listen to anyone, but maybe it was simply the frustration of three seasons with just one league title. After the frustration of playing on a bad Portugal team and not going anywhere in an international tournament again, Cristiano Ronaldo seemed happy enough to be playing on what looks like the best team in Europe once again in an official match. It also meant seeing something of a mentor to him? Even better.